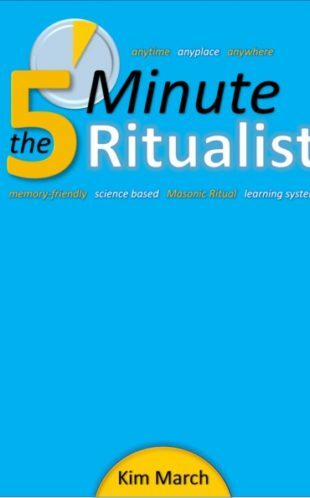 The 5-Minute Ritualist is a scientifically founded, flexible, time and labour saving method for memorising Masonic Ritual using short, regular, highly focussed learning sessions. 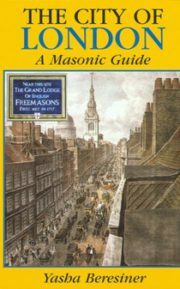 5-MR offers a friendly, helping hand right across the Masonic age and experience spectrum – particularly so for inexperienced members of the Craft, aspiring WMs and Brethren living with declining memory challenges. 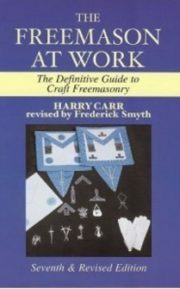 This ‘working tool’ based system is very easy to use; can be applied to any form of Masonic Ritual; caters for ‘Local Workings’ variations and includes a combined ‘rehearsal and prompting’ tool that can safely be used anytime, anyplace, anywhere because only a Freemason can make any sense of it. This A4 sized book includes three ‘ready to memorise’ Workings Plans plus all the bespoke stationery for readers to make their own DIY trial of a Ritual working of their choosing. Fully illustrated, the book takes the reader on a journey from the Ritual words on the page to the formation of long-term memory, either shallowly or deeply processed. Very simply, the system overcomes all the recognised barriers to learning including the lack of time and not understanding archaic language content. Kim March was born in Hastings, East Sussex in 1955 and was brought up in the hurly-burly of a large, cusp of town and countryside, council estate. He attended Hastings Grammar School for Boys leaving at the age of 16 to join the Metropolitan Police Cadets. Shortly before his 22nd birthday he left the police service to take his first print media job. This change revealed an innate entrepreneurial drive, providing the impetus for a successful career in educational consumer publishing and allied marketing services. Largely through hands on experience, he rapidly acquired all the essential skills to create a media company employing his own concepts. He married wife Sue, in 1979 who continues to listen to his ideas and generally put up with him! He is a self-confessed creative thinker and has been blessed to bring several of his educational publishing concepts into fruitful, award winning reality. He has worked with a wide range of domestic and international clients and has spoken at major marketing conferences. Having sold his business interests in 1999, he and Sue relocated from Oxfordshire to the Shropshire Hills. As a keen hill walker, he gave 7 years service to a struggling childrens outdoors adventure charity. In 2012 both he and the charity won two social entrepreneur awards for the creation and successful delivery of a recovery business plan. He has also worked as a local business consultant. Kim was Initiated into The Longmynd Lodge No 4877 in 2001; joining the Salopian Lodge of Charity No 117, in 2006 serving as Master in 2013. Challenging health circumstances resulted in a complete break from Freemasonry in 2016 with the ensuing recuperation period affording him the opportunity of refining, writing and designing the 5-Minute Ritualist. 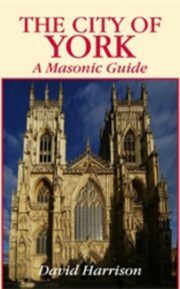 He is presently a member of Powis Lodge No 7355, a Lodge he has visited on numerous occasions on foot, walking the 23 miles from home – often in the good company of Shropshire Masons on a fundraising mission. He plans to continue doing so! Now retired, he and Sue have taken to also exploring the great outdoors further afield, including recent trips to the Ecuadorian Andes, Galapagos Islands, Costa Rica and Namibia. He is currently working on other publishing projects.